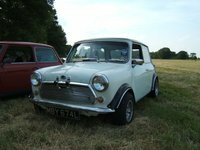 Have you driven a 1977 Morris Mini? It's a little tough for me to write an unbias review on a car that I have wanted since I was about 11. A decade later I had the opertunity to purchase said car, it was even a right-hand drive. I hauled the car home, a 180 mile trip. Three days later I decided it was time for the road test. Performance - For a car with only a 998cc engine it does accelerate at a comfortable speed (this is also with no tune up.) While I was expecting more zip to it, I was not ultimately let down. The brakes where another story, I had it in my head that a small, lightweight car would require less to slow it down. But when the brake booster and the actual size of the brakes are nearly laughable it does take a firm pressing and some early breaking. The car handles like a go-kart, a british, rally go-kart. With little to no body-roll it hugs corners with ease. Build quality - The car is showing its age, with several spots of rot, some clear into the cab. Here and there are small spots of rust bubbling under the faded paint. With how rigid the suspension is its impressive that it holds together so well, considering the rust damage. Appearance - The paint, which is original, has faded signifigantly. I plan on painting it the same color (red) but changing the black roof to white, and some bonnet stripes to match. The interior, for its age was amazing, everything was there with the excepssion of the front dash pannel/cover. (if they came with them, I have not been able to find out much). Cost of ownership - The MPG factor is fantastic, in a world with many manufactures going the green route and people believing you have to own a brand new eco-friendly car, which leads them to ultimatly compromising, this car shows you can have something classic, something very fun to drive, something that turns heads and still keep gas in your budget. It only has a five gallon tank, so I find myself filling it more often than my other car but for nearly change compared to the Camino. maintenance... After a few weeks of driving it, the mini left me stranded on the side of a major road (rt100 in south coventry for anyone in my area of Pennsylvania) at 2 in the morning. I ordered parts I was told would fit my car (a distributor) they didnt after weeks of waiting and then sending it back I have located parts from another comapny, which are; cheaper, easier to obtain, and can be on my doorstep from the UK in a matter of days (not weeks). There are some things on the car that are a bit tricky, only owning american cars 80's to 00's somethings were particularly different. Finally we come the the Fun Factor - The Mini in the end, lived up to my ten years of expectations. Its the most fun I have ever had behind the wheel of a car. People come up and ask questions about it or approach just to say how awsome it is. I get Euro import guys (particularly classic Euros) giving me thumbs up, like becoming a member of a larger group simply by owning a car. I will never sell this car, my Camino and My motorcycle they can take, but they will have to pry the wheel from my cold dead fingers before I let this baby go. Pros: Every little trip can be its own rally event without breaking any laws. 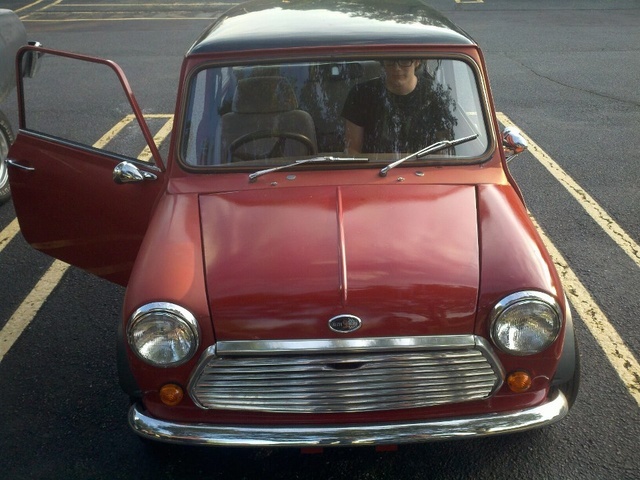 Cons: The fact that it doesn't have a traditional frame (however it does make it lighter), its prone to rust, the slightly offset position of the steering wheel, having to learn how the Brits did things, the SU carb is truly intimidating. CarGurus has 1 nationwide Mini listings and the tools to find you a great deal.